A gap opened in the defence and Ben Vellacott took full advantage. The defensive line has been broken as Ollie Thorley goes through the gap. Gloucester make a substitution with Jeremy Thrush coming on. Gloucester make a substitution with Tom Savage coming off. Leicester sub Sam Harrison comes onto the field. 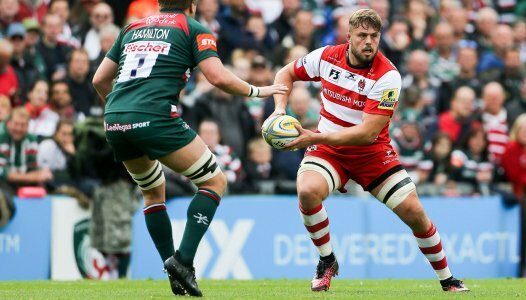 Ben Youngs departs for Leicester. Greg Bateman comes on for Leicester. Ellis Genge leaves the field. Luke Hamilton has made 10 good tackles so far this game. George Ford has made 10 good tackles so far this game. What a run here by Val Rapava Ruskin as he gets over the gainline!. Gloucester decide to make a substitution, with Freddie Clarke getting some game time. 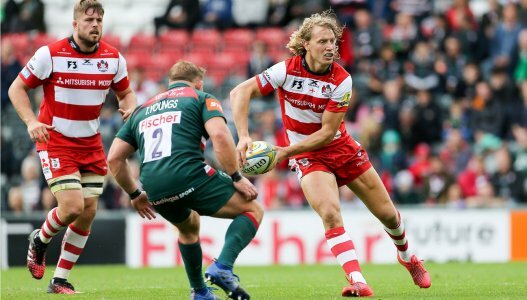 Gloucester decide to make a substitution, with Lewis Ludlow being replaced. Gloucester make a substitution with Jeremy Thrush coming off. Leicester sub Logovi'i Mulipola comes onto the field. Dan Cole departs for Leicester. 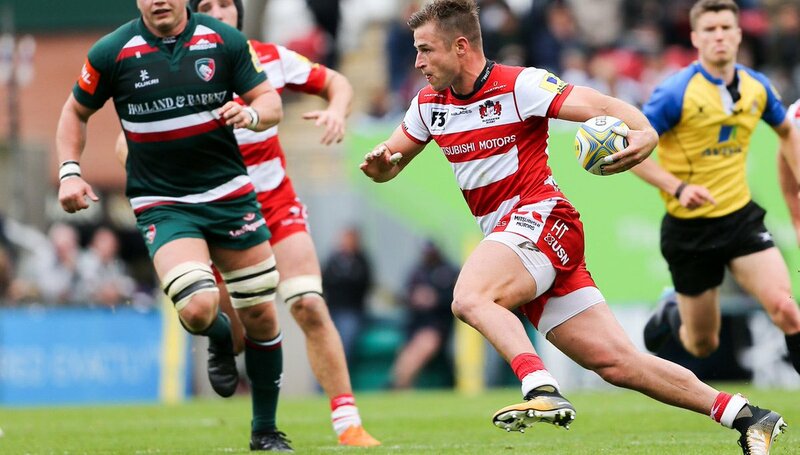 Val Rapava Ruskin comes on for Gloucester. Lloyd Evans makes the break as the defence re-enacts the parting of the red sea. Matt Smith has made 10 good tackles so far this game. Fabulous play by Leicester has led to Mike Williams being able to wriggle through a gap. 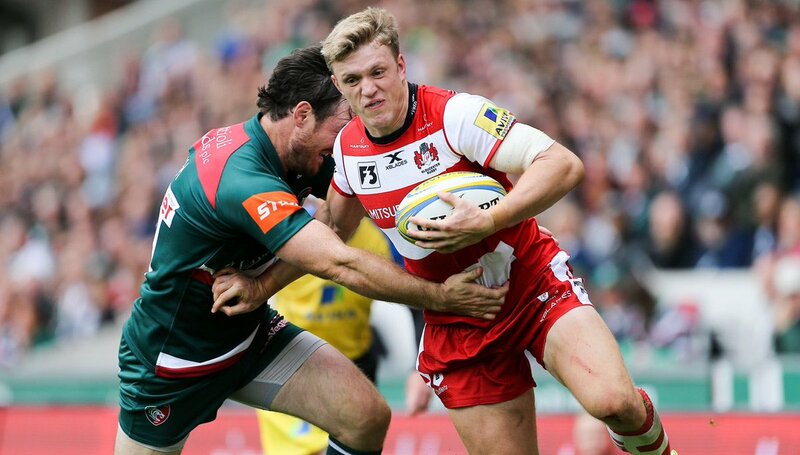 This is dangerous for the defence as Luke Hamilton bursts through to advance the Leicester attack. Gloucester decide to make a substitution, with Lloyd Evans getting some game time. 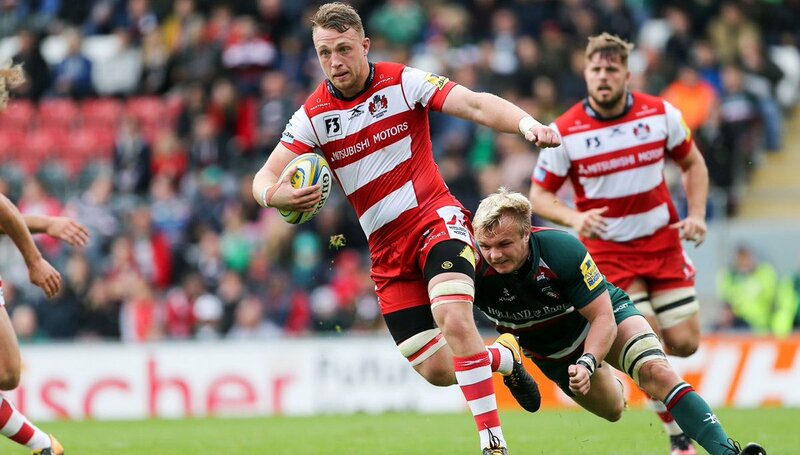 Gloucester decide to make a substitution, with Henry Trinder being replaced. Leicester make a substitution with Valentino Mapapalangi coming on. Leicester make a substitution with Joe Maksymiw coming off. That's a great try assist by Willi Heinz. A stunning solo try from Josh Hohneck. What a run here by Telusa Veainu as he gets over the gainline!. Leicester sub Mathew Tait comes onto the field. Matt Toomua departs for Leicester. Fabulous play by Gloucester has led to Lewis Ludlow being able to wriggle through a gap. Trouble here as Henry Trinder breaches the defence. 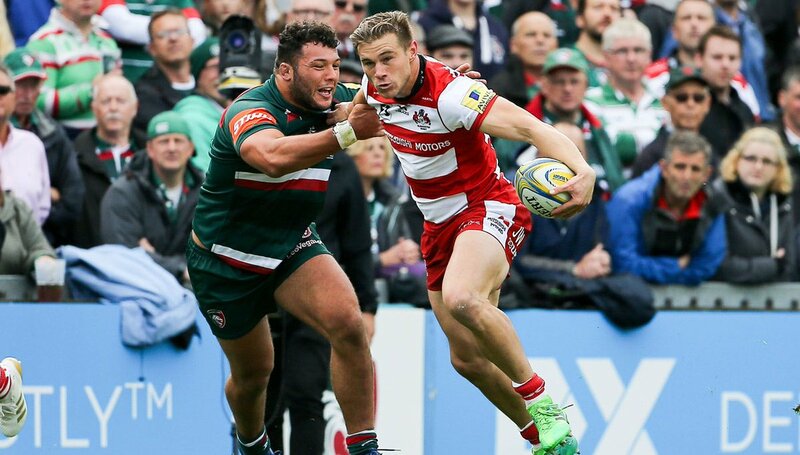 Josh Hohneck comes on for Gloucester. Val Rapava Ruskin leaves the field. Telusa Veainu sets up the try. Great hands by Leicester leads to a try for Nick Malouf. This is dangerous for the defence as Telusa Veainu bursts through to advance the Leicester attack. George Ford converts the try. Ben Youngs scores the try from close range. A gap opened in the defence and Matt Scott took full advantage. Val Rapava Ruskin comes on. Leicester are only a few metres out, surely they must score! And they do with Ben Youngs touching down. Fantastic news from Darlington as @Glos_PuryWRFC win their first @Premier15s game by 32 points to 3! Well done ladies - proud of you! 🗣 "I'm frustrated with the game early on. The reality is that we have to understand the referee"
Thanks for another great battle! 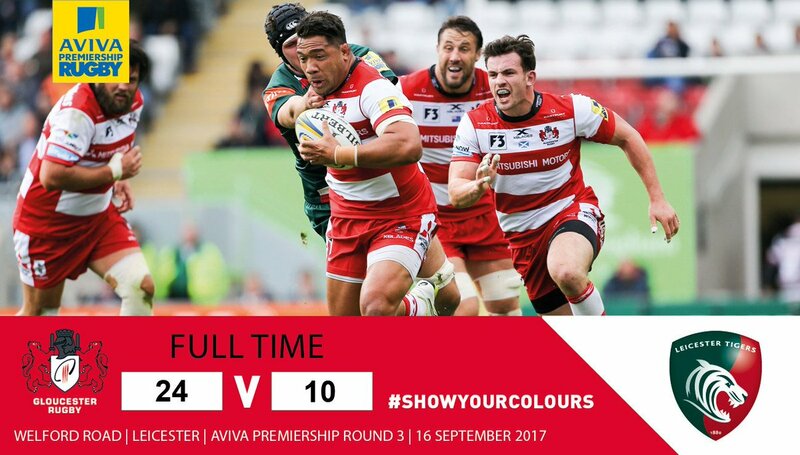 We’ll see you in the return fixture in Gloucester. 82’ Another penalty blown our way as Ford finds touch just 10 out from the Glos line. 80’ Penalty awarded to Glos and they quick-tap but turnover on halfway. We’re back in attack. 79’ Glos penalised at the ruck. 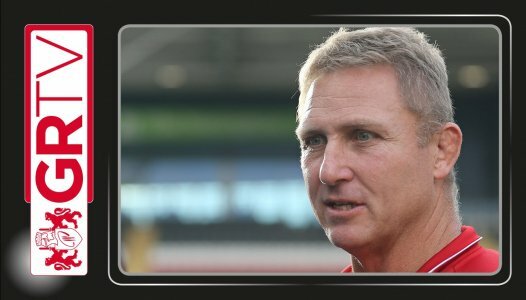 Ford finds touch 5m out as we enter the final minute at Welford Road. 77’ The #tigersfamily are on their feet as Gloucester are dragged back in to their in-goal. 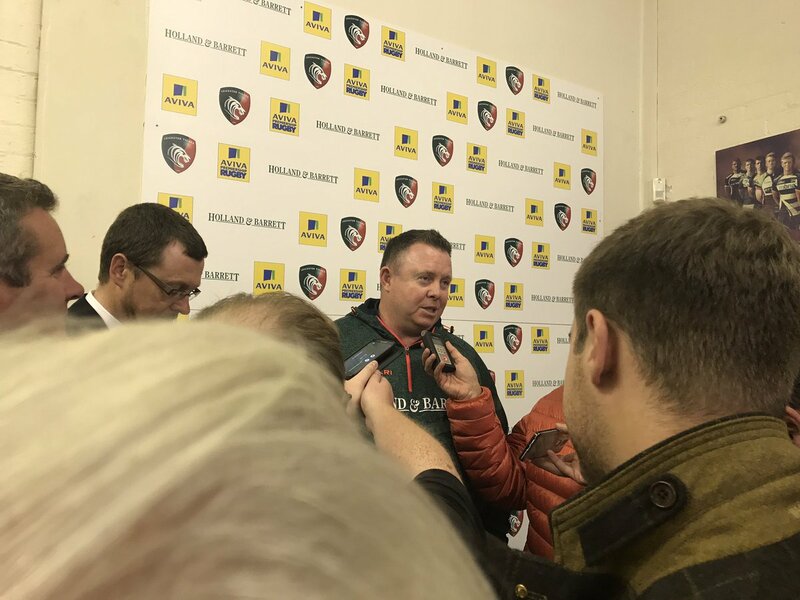 5m scrum, Tigers. 75’ “An absolute mess of bodies on the floor. Scrum, green ball,” Craig Maxwell-Keys. 75’ Another Glos forward pass missed by officials but not to worry, we’e turned it over anyway. On the attack near halfway. 75’ Stop in play as heads collide, it appears to be Savage and Kalamafoni. 74’ Free kick goes the way of the visitors and they’re off quickly. 73’ AWWW… Mapapalangi nearly finds himself in a hole but can’t control it. Scrum to Glos on their 22. 73’ England-duo Ellis Genge and Ben Youngs are given rousing ovations as they’re replaced by Greg Bateman and Sam Harrison. 73’ Glos return serve with a boot back to our half but are penalised at the ruck to follow. Ford finds touch 22 out. 72’ Matt Smith swoops on a dropped ball from the opposition close to our line and Ford clears from the following ruck. 71’ Scrum awarded our way for a Gloucester forward pass results in a penalty for the visitors. They find touch 20 out.